What happens when you cross The Bachelor with The Hunger Games and throw in a little Princess Diaries? You get The Selection, by Kiera Cass. Set in the former United States of America, now called Illea, society is ruled by a king and people are divided into eight different social classes with pre-determined roles in society. Moving up in the caste system is rare, but once every few generations a prince chooses a wife in a unusual way. Thirty-five girls from all different castes are randomly chosen by a lottery drawing. These girls are then sent to the palace, where they’re groomed to become the next princess. Prince Maxon is our Bachelor figure here – he gets to choose which girls he wants to date and how they spend their time together. If things go well, they make it to the next round. If not, they get sent home and for most, back to a life of poverty. The main character, America Singer has no desire to become the next princess of Illea. Her parents forced her to enter the lottery and she has a secret boyfriend back home. But now that she’s at the palace, the friendship she’s formed with Prince Maxon has started to turn into real feelings, leaving her considering the possibility that she might actually want to win his heart. The Selection is not a bad book, but it’s also not very good either. It borrows heavily from the concept of the Bachelor, and tries to unsuccessfully weave dystopian elements throughout the story by adding side plots about a rebellion that are so infrequently mentioned that the reader forgets something outside the marriage competition is going on. Dialog between the characters is overly dramatic, unnatural and at times, cringe-worthy. The writing is also very weak – most of the book reads at a Jr. High reading level. Another negative aspect of the story is the blatant rip off of plot elements we’ve already seen in other young adult dystopian books. Those not involved in the competition watch it on television and there’s even a weekly talk show with a host who is very much like Caesar Flickerman from the Hunger Games. Despite the weak writing and dialog, curiosity will keep one reading until the last page, however, we probably won’t find out who Maxon chooses until the final book in the series. 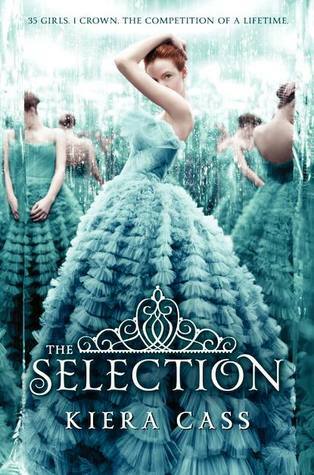 The Selection is the first in a trilogy – the second book, The Elite, was released in April and reached number one on the New York Times young adult bestseller list. And like many other books in the same genre, The Selection will be coming to a small screen near you – The CW has a pilot episode in production, set to premier on the network this fall. Previous Glee: Where Do We Go From Here? That first sentence sums it up really well! I also had the exact same thought about the Hunger Games aspects. And I totally agree that the rebellion reads as a bit of an afterthought.